One of the sweetest sounds in Central Park is the chatter of the white-throated sparrows (Zonotrichia albicollis). These wonderful birds call out to each other with such a joyful sound that I usually stop in my tracks to listen. And they do such a delightful dance when they dig for their bugs and seeds. Who can resist their yellow eye shadow and white bibs? The clips in the Filming the Feathers video were shot from 2013 through 2016 in Central Park and other New York parks. The white-throats are some of my favorite customers, and they do enjoy the sunflower and other seeds. The music in the video is by Franz Anton Hoffmeister (Duet for Flute and Violin in G major, performed by John Bell) and Béla Bartók (Romanian Christmas Carols, Sz. 57, for recorders, performed by Papalin). 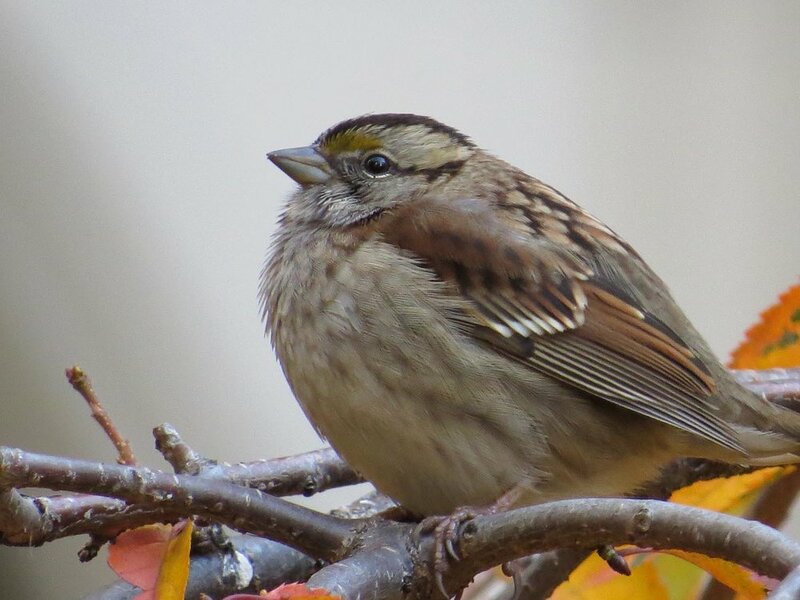 I have put more photos on the White-Throated Sparrows page. The following photos are from 2013 through 2016. Older PostHey Lady, I'm Not a Mallard!